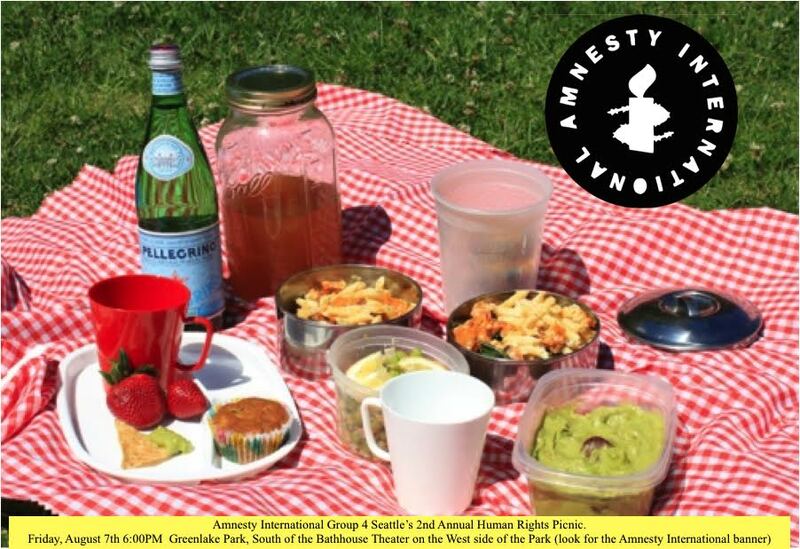 ← July 7 – Amnesty International Meeting – Picnic Planning & More! No August meeting, instead join us for our picnic on Friday, August 7 from 6 pm to sundown on the west side of Greenlake Park, south of the Bathhouse Theater (look for the Amnesty International banner). Come meet members of local Human Rights Organizations, find out what’s planned for Fall, all while eating good food, playing games, and breathing fresh air. This entry was posted in Amnesty International. Bookmark the permalink.